Advertising is in the centre of all communications. Every brand and client is now looking to advertise themselves on various platforms. The scenario was not the same 10-15 years back. Other than major clients and big players in the market, none were too interested in exploring the horizons of the digital space and mainly social media. Now, every type of business is gunning to enhance their presence over the World Wide Web. The process of tapping the digital markets is not just limited to the top-notch clients any more. Anyone and everyone wants their chunk of visibility on the online platforms. Be it a vegetable vendor, a start-up salon or the new laundry guy, everyone is on the social media. But, how can you tap these markets? The wide online space is dotted with big number of services and activities. How will you segregate the ones beneficial for your brand? A global advertising agency can help you in identifying these matters. What are these agencies? What do they stand for? What services do they provide? These full service agencies provide a plethora of services. We do not need to go into detail to know about these agencies and their services. Keeping a long story short, these agencies stand on three main pillars, Content, Communication and Conversion. Let me explain how. I don’t want to sound clichéd. 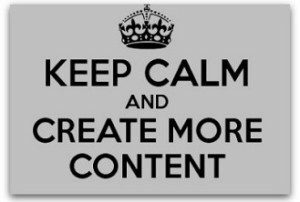 But, yes content is king. A website is made up of three pivotal things, designing, writing and hosting. Content writing can prove to be a tedious task at times because it is a creative and a continuous process. Good content means good visibility & interaction. A global advertising agency has an in-house team of writers to help you with it. Search Engine Optimization depends a lot on this marketing segment. The most innovative design can fail to convince Google that you are better. But, the innovative and smart placement of words can. This can help in achieving high organic rankings. Ignoring the SEO lingo and jargon, content that makes sense will always sell. Majority ad services like SEO, SMM, SMO, E-mail Marketing depends a lot on this king. It is as simple as it sounds. If you fail to communicate, you fail to sell. Communicating your brand message effectively to the target audience is very important. The digital communication direct marketing company playgrounds keep changing with every passing month. A new application or a platform regularly evolves. And, we are speaking about a huge audience here. If you fail to connect the motive or message behind a recommendation, you risk failing miserably. Creative thinkers and planners in a global advertising agency can help you achieve it with unique strategies & engagement via Blog, Social, Emailers and much more.